The KS series automatic gabion machine includes four main standard parts: Main netting machine, winding machine, wire tension device and spiral coiling machine, it can produce gabions of various widths and mesh sizes. 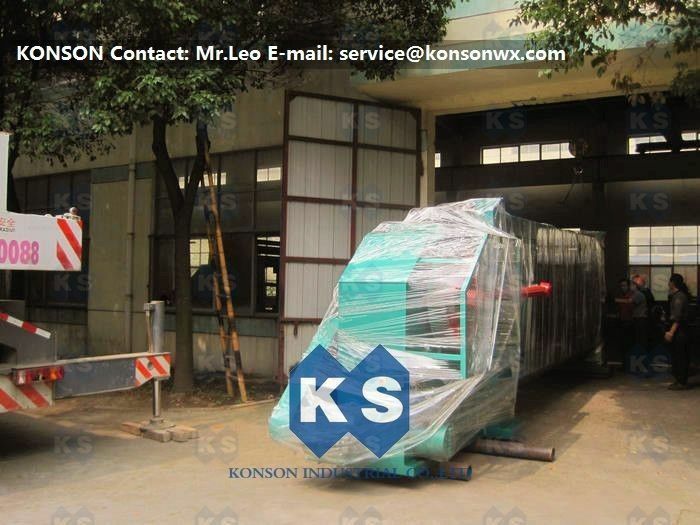 Konson brand gabion machine refers to the machine for making of hexagonal wire netting, it is also known as heavy type hexagonal wire netting machine. Our machine is specially used to produce the large size and heavy duty hexagonal (galvanized, galfan & PVC wire) wire meshes for the fence and the stone gabions usage. It has several models for different sizes of meshes and the maximum netting width is up to 4.3 meters. We can also supply the complete production line for your whole netting workshop.